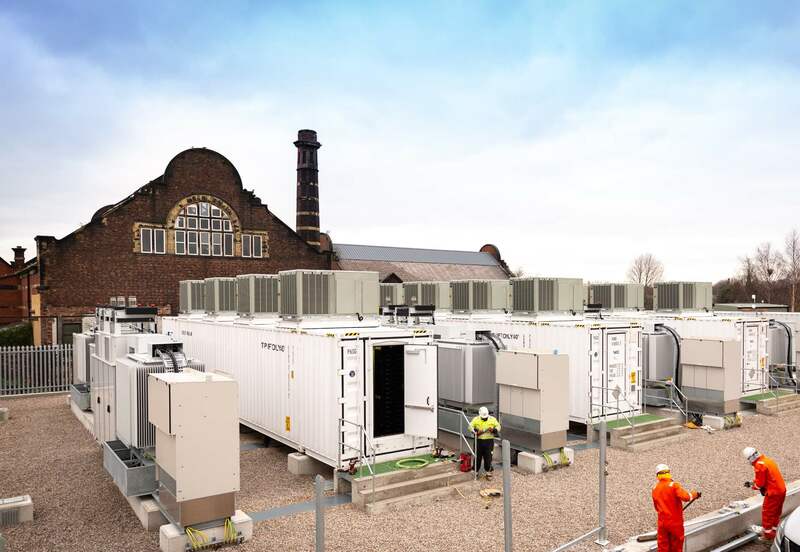 The global energy storage market is expected to increase 13-fold over the next five years and add as much as 146 gigawatt-hours (GWh) of new capacity by 2024, according to a new report published Tuesday by Wood Mackenzie Power & Renewables. “From 2013 to 2018, we saw fledgling market growth,” said Ravi Manghani, Wood Mackenzie Power & Renewables Research Director, writing this week to accompany a new report entitled ‘Global energy storage outlook 2019: 2018 year-in-review and outlook to 2024. “This was reflected in a global GWh compound annual growth rate (CAGR) of 74%, although we did observe relatively small deployment totals of 7 GW/12 GWh for the period. The growth of energy storage was seen most noticeably in 2018 with year-over-year growth of 140% thanks to 3.3 GW/6 GWh of new capacity installed. “Half of this GW capacity was front-of-the meter (FTM), driven by accessible ancillary service revenues in key markets,” added Le Xu, Wood Mackenzie Power & Renewables Senior Research Analyst. “There was also a notable trend for solar-plus-storage projects providing semi-dispatchable renewable capacity. Looking forward, Wood Mackenzie expects the storage market to mature and grow at a compound annual growth rate (CAGR) of 38%, with deployment numbers of 63 GW/158 GWh. The front of the meter (FTM) sector will remain the largest segment through 2024, and is expected to displace diesel, oil, and gas peakers, particularly in fuel import countries where conventional plant run costs are higher, as the trend moves from short-duration systems to long-duration systems. “We expect renewables-plus projects to become a popular trend through 2024,” said Rory McCarthy, Wood Mackenzie Power & Renewable Senior Research Analyst. “This is especially true for solar-plus-storage projects, as the requirement for clean and dispatchable renewables is widely accepted.